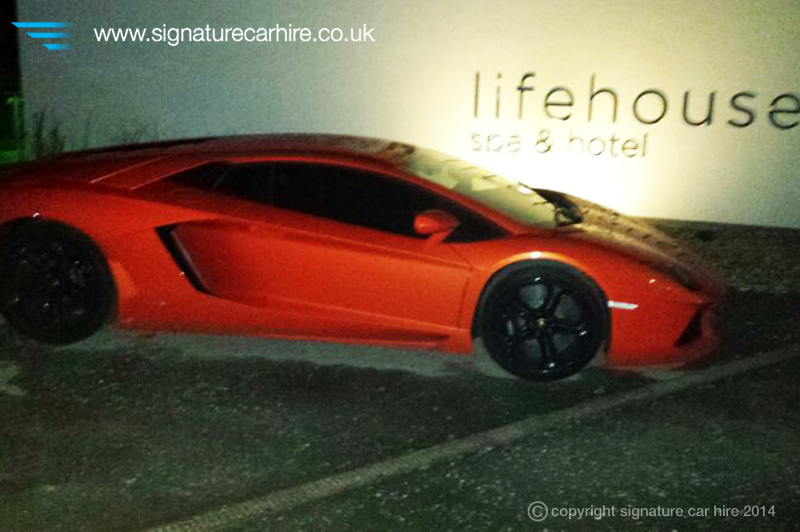 Atish Patel has been a lifelong supercar fan and a great friend to Dee and Signature Car Hire. 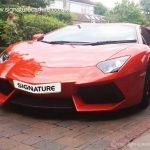 Over the years Atish has hired a plethora of different cars since Signature’s early days including Range Rovers, Lamborghinis, Bentleys and BMWs and has thoroughly enjoyed all the cars he has hired from us. 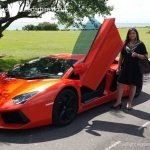 During this time Atish and Dee have developed a friendship which has grown over the years. 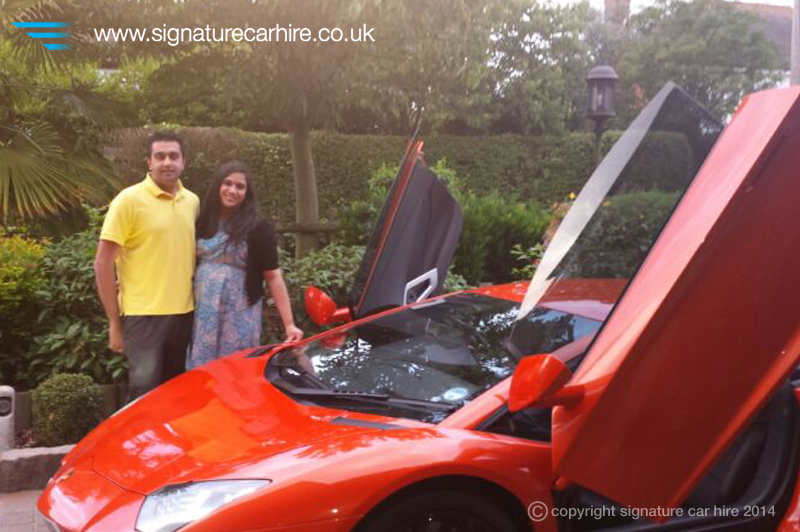 Signature has helped Atish organise some surprises for his wife too, none more important that when he booked our Lamboghini Gallardo Spyder to take a trip to the London Eye where he proposed to Beejal. 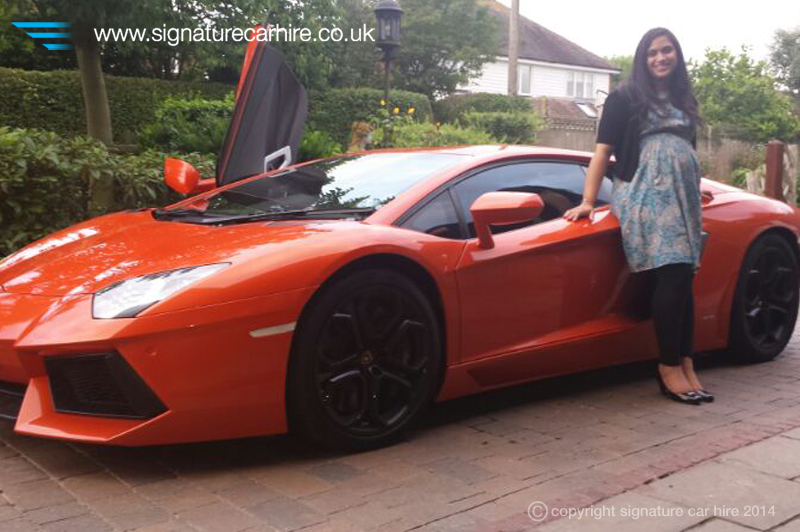 Signature was happy to organise everything so Atish could concentrate on the actual proposal; we were even happier to hear Beejal said yes! 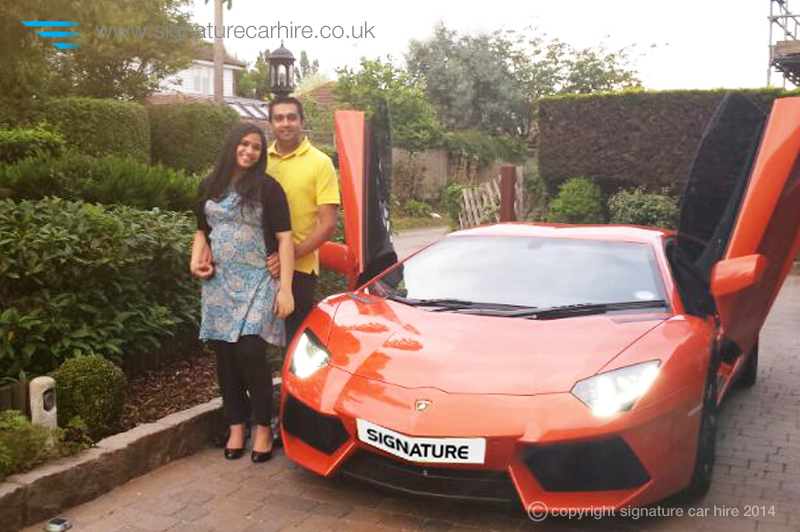 Atish and Beejal’s story continues with the happy announcement that they are now expecting a baby. 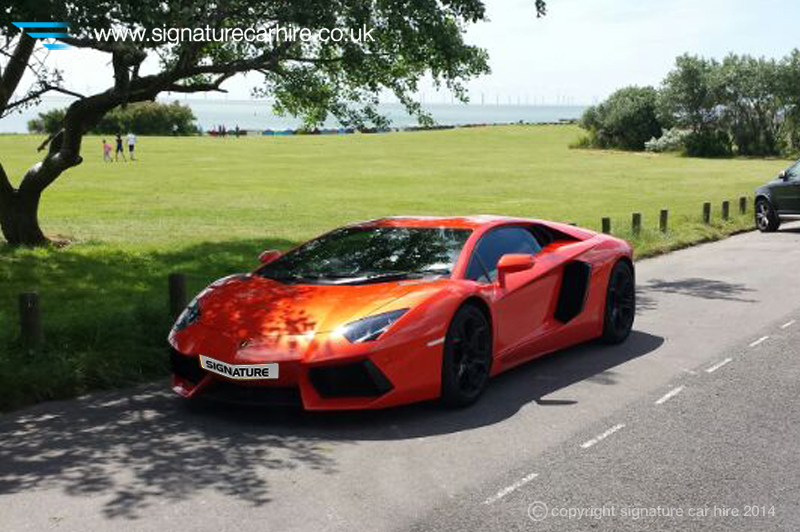 Atish wanted to mark this special occasion once again with the hire of our spectacular and eye-catching Lamborghini Aventador. 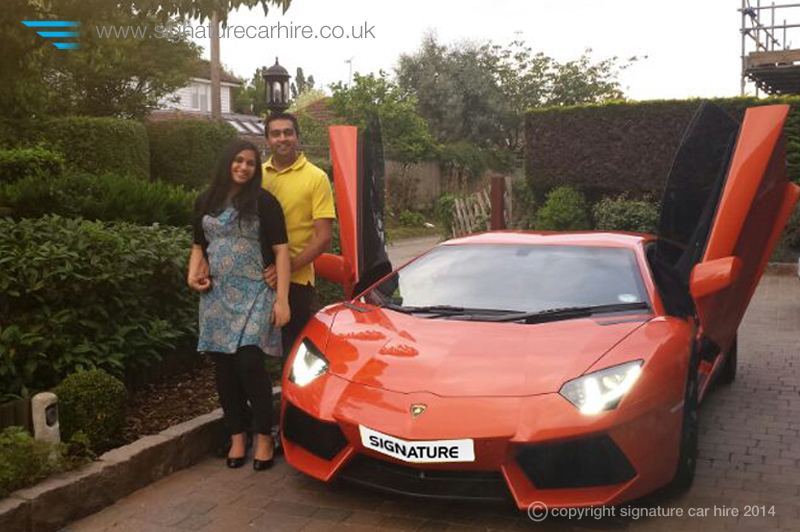 Atish and Beejal are pictured here outside their home with our Lamborghini to reflect a happy memory Atish has of a picture of his parents outside their home with their Mercedes when they were expecting him. Atish wanted to replicate this image with Beejal and baby ‘bump’, something which they could show their children in years to come. 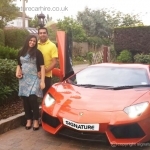 28th July 2014 – We are delighted to announce that since writing this news story that Atish and Beejal have had their baby – A little boy! 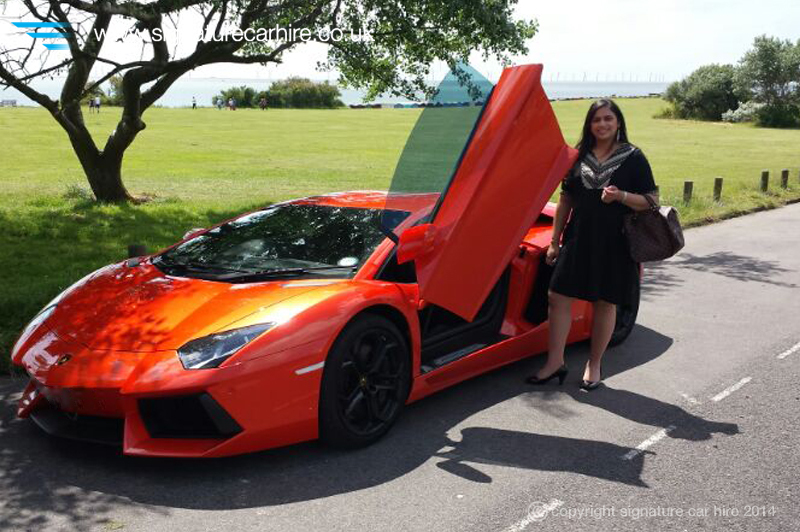 Everyone at Signature Car Hire wishes Atish, Beejal and their new bundle of joy Aarav all the happiness in the world + plenty of sleep! 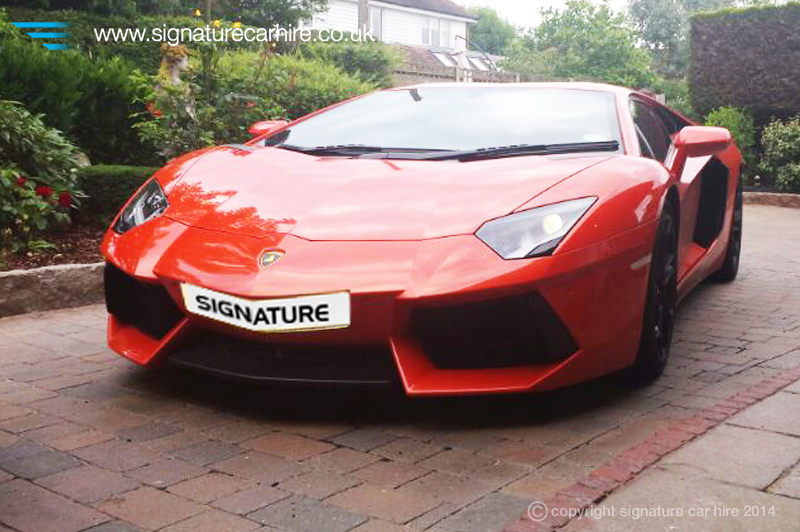 Signature’s team of specialists are on hand to offer you more than just a car. 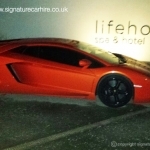 We can help make additional special arrangements to make your special day complete. 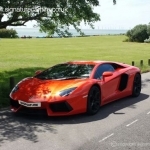 We welcome all clients to come and meet with us in person at our London based Experience Centre where you can meet the team, discuss your plans in detail and of course take a tour to see all our wonderful cars. 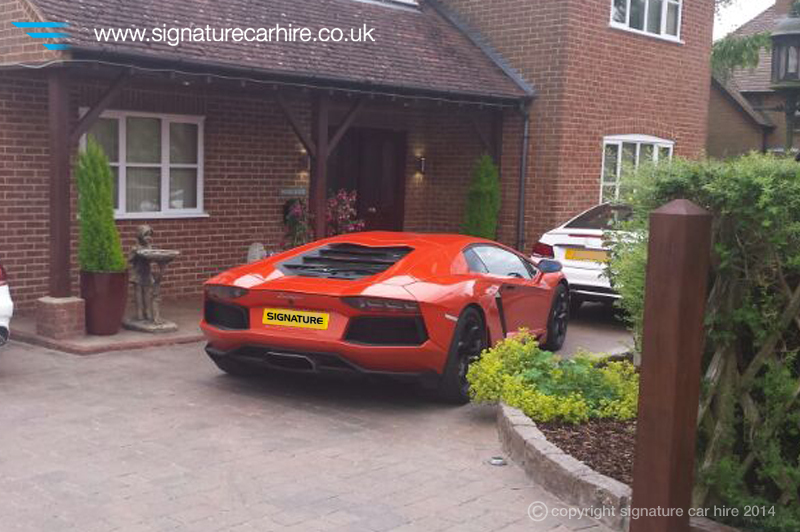 Call us today on 0845 370 2222 and see how we can help make your dreams come true.